Construction to lower, not remove, middle piers. 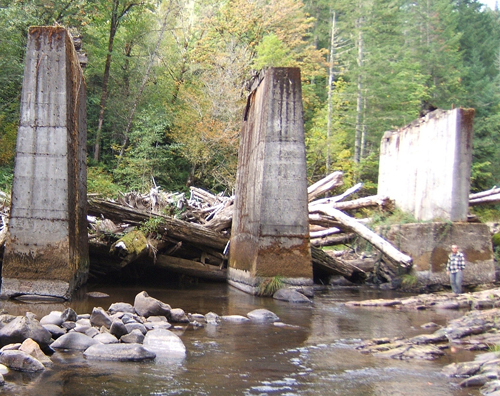 The first phase of the Luckiamute Watershed Council’s Upper Luckiamute Railroad Bridge Piers Project was completed in September 2011. The project was focused on two sets of abandoned bridge piers that were not only interfering with native fish migration, but were having negative impacts on the stream channel itself. Instead of removing the piers entirely, the structures were lowered so that they could help trap large woody debris moving down the river channel. 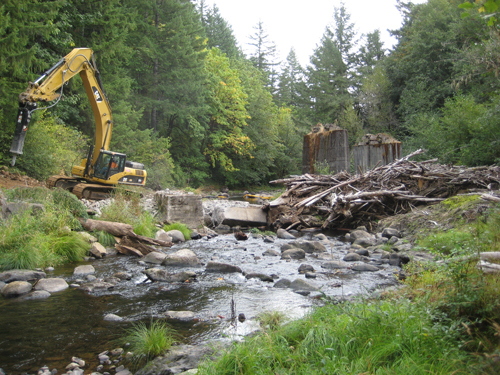 The accumulation of large wood will add complexity to this otherwise simplified channel -- which will help provide valuable fish habitat upstream of the piers. 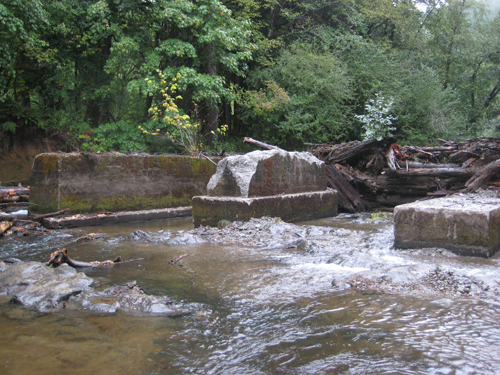 Lowering the piers will also help prevent the stream channel from eroding its banks any further, and it will allow migratory fish to access upstream portions of their habitat. 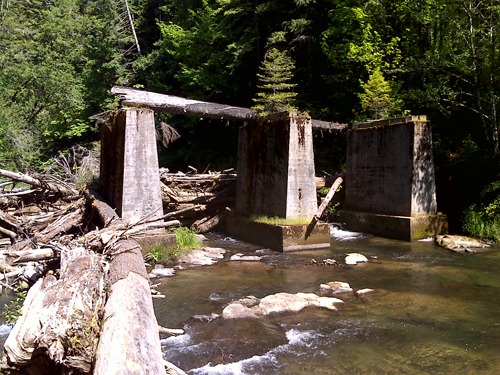 The Upper Luckiamute Railroad Bridge Piers Project is one part of a long-term strategy to facilitate the natural recovery of the Upper Luckiamute River, and helps restore the historic conditions prior to the use of splash dams on the Upper Luckiamute. 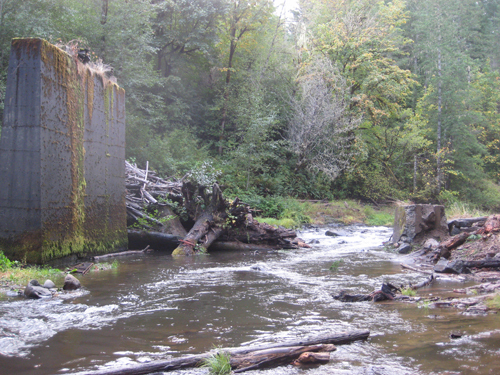 The project was completed using funds from the Oregon Watershed Enhancement Board, the National Fish and Wildlife Foundation and a small contribution from the landowner. Project construction cost was approximately $42,000.